On the 2nd June I took a trip to Bentley Wood in the hope of seeing maybe some Small Pearl-bordered Fritillary butterflies. However the wind was strong and the butterflies I did spot were the more worn out Pearl-borders that I’d photographed the previous week. So although no real butterfly opportunities the wood still gave some opportunities for some macro photography. This in the form of a couple of nice beetles and the always photogenic Herb Robert flower. Here’s the 3 images I like best from this visit. 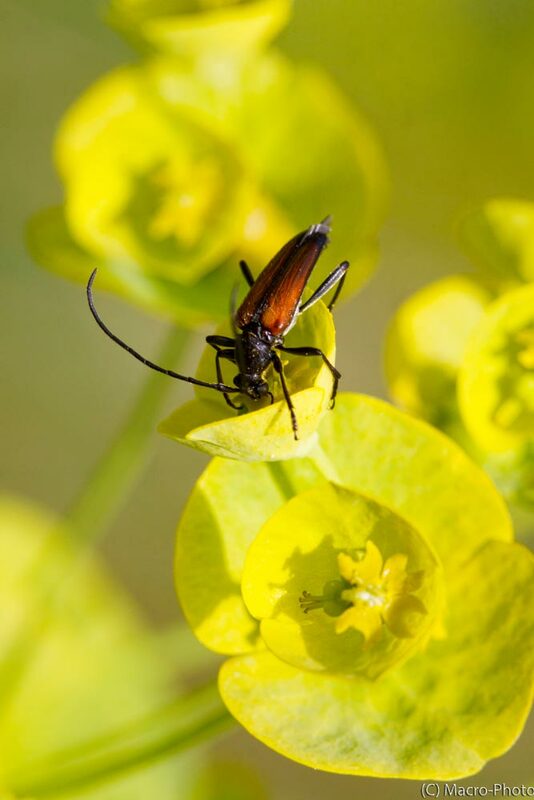 Fairy-ring Longhorn Beetle. Taken on Canon 50D with Canon 100mm F2.8 USM Macro Lens. ISO 400 F8 1/320. Natural Light. 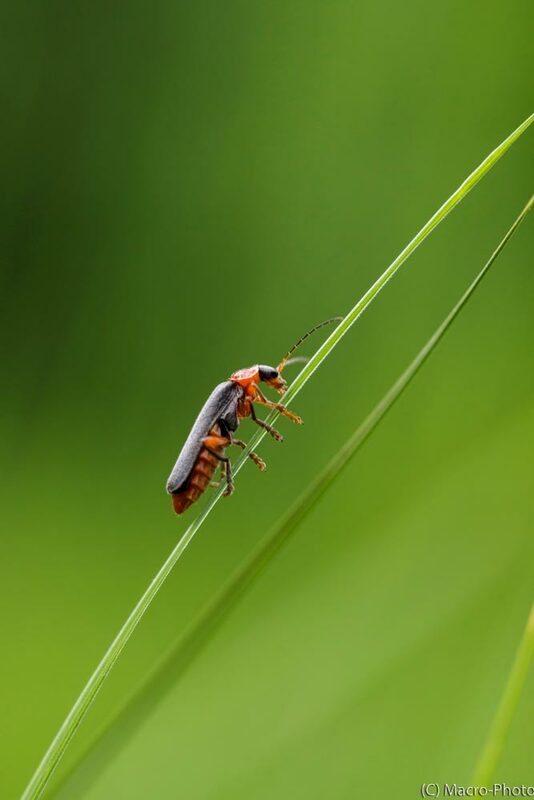 Soldier Beetle on Grass. Taken on Canon 50D with Canon 100mm F2.8 USM Macro Lens. ISO 400 F4 1/160. Tripod in Natural Light. 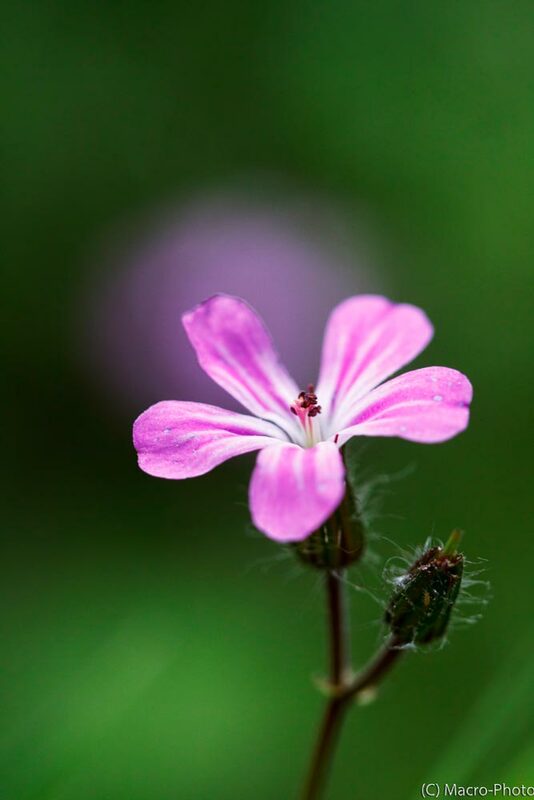 Herb Robert. Taken on Canon 50D with Canon 100mm F2.8 USM Macro Lens. ISO 400 F4 1/500. Tripod in Natural Light.